Nissan Genuine Parts: Precision, Reliability and Performance. It’s designed to meet your needs with Nissan’s quality and dependability. Plus, they’re covered by your on-going vehicle’s warranty. At Nissan, we care for our customer's safety and quality of ride. Many car owners are misled by low prices of replacement parts and make an error in judgement without checking if the parts are genuine or imitation products. The imitation parts have shorter service life and are prone to mechanical fault and failure, ultimately resulting in greater loss to a customer. We would like our Nissan Customers to be cautious of imitation parts and insists only on Genuine Nissan Parts. Safeguard yourself from commercially available imitation spare parts which are both inferior in quality and safety. "KEY VALUE" is the registered trademark for Nissan Motor exclusive use; it stands for "Key" quality products that provides "Value" for money. Current Genuine parts line-up approved by Nissan Motor as Genuine parts, are Original Equipment Parts used during Nissan Vehicle manufacturing. They are designed to conform to Nissan benchmarked quality standard and are suited especially for use after the warranty period to maintain continued excellent performance. Despite the high quality delivered, "Key Value" parts are priced substantially lower than factory-fit equivalents. This key to economy and reliability forms the foundation for "Nissan Genuine Key Value". 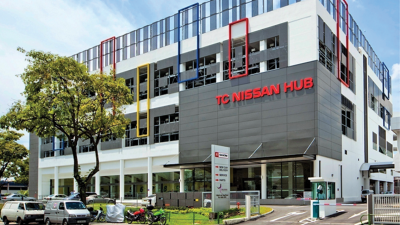 Quality - Only those service parts manufactured with the same design and performance as parts used in new Nissan vehicles are marketed as Genuine Nissan Parts as they fulfill the severe quality standards established by Nissan. Warranty - Genuine Nissan Parts are officially warranty covered by Nissan to provide customers with assured quality and ease of mind. Supply - The establishment of a timely supply system ensures that all required parts, including those of older models, are available to dealers at all times. Reliability - Like Nissan vehicles, customers can use Genuine Nissan Parts with confidence. The following item lists provides information on the purpose of parts and how Genuine Nissan Parts compare to aftermarket products. 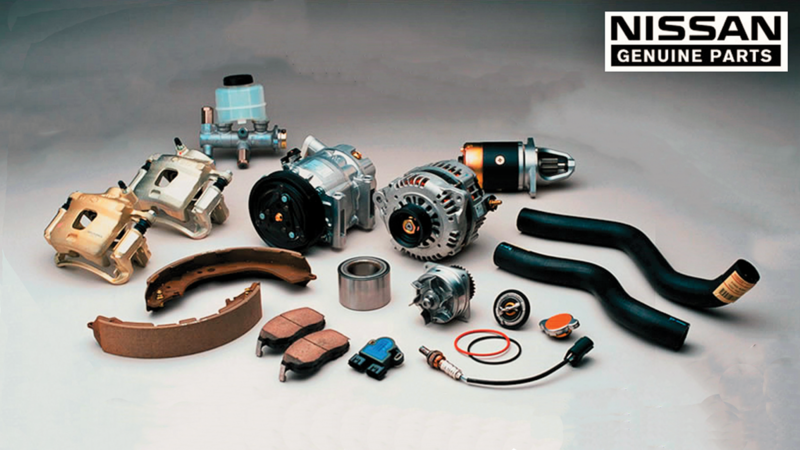 Insist only on Genuine Nissan Parts for your driving pleasure and satisfaction! For more information, please visit your authorized Nissan dealer or simply call our Parts Centre.